SAN JOSE — Yu-Ai Kai’s eighth annual Sake San Jose event will be held on Thursday, May 23, from 5:30 to 8:30 p.m.
Join hundreds of sake tasters as they embark upon the streets of historic San Jose Japantown (on Jackson Street, between 3rd and 7th streets) for one of the most anticipated fundraisers of the year. More than 20 Japantown businesses will host pouring stations, where Yu-Ai Kai volunteers will offer samples of sake made both in Japan and the U.S.
Tickets are $50. There is also a VIP ticket for $60, which includes admission, a Horitaka design Year of the Snake T-shirt, and express check-in line at registration. No refunds or exchanges. Registration opens at 4:30 p.m. with opening ceremony beginning at 5 p.m.
Ticket-holders must be at least 21 years of age and must have valid photo identification. 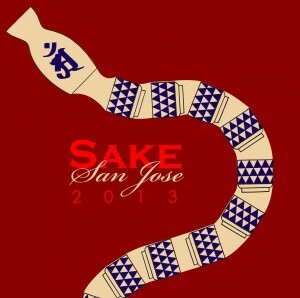 Sake San Jose is a fundraiser benefiting Yu-Ai Kai Community Senior Service. For more information, visit www.sakesanjose.com.